Did you know that Colorado is among the three states without a natural border? No? Now you do. But is that the only exciting thing about Colorado? Or is there anything more to it? Definitely! Apart from the fact that Colorado has tons of mountains, it is an overnight backpacking trip heaven. The Magnificent trails that take more than one day to complete and the scenic beauty all adds to the overall hiking experience. 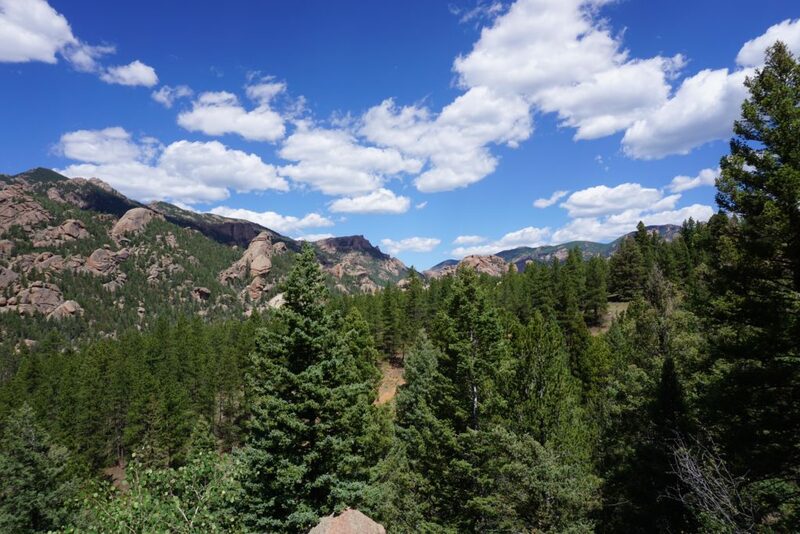 Colorado is one state that is full to the brim with scenic trails and is one place that you and your family will enjoy being away from civilization and connecting with nature. The following are some of the best backpacking Colorado trips for you and your family. Enjoy the read! We have mentioned that Colorado has some of the best backpacking trips in America. But what makes it an ideal destination for backpackers? One of the reasons is that the average elevation of the country is high. As a result, many backpackers can enjoy the scenery for many miles without any barriers. There are also numerous hiking trails, and you can say that you are spoilt for Choice. Colorado trail is one of the most popular that runs to Durango from metro Denver’s Waterton Canyon. It is 486 miles long, and any good hiker will love the experience. The elevation is 10300 feet above sea level, and so you will need to prepare sufficiently before you can undertake the hike. The best time to take the Colorado trail is around September when there will be no trace of snow to inhibit the adventure. Some of us don’t mind the snow and can take the hike any time of the year. Watch this video for more on hiking the trail. This trail drains into Chicago Basin, and it is one of the most satisfying for those that love the wild terrain. 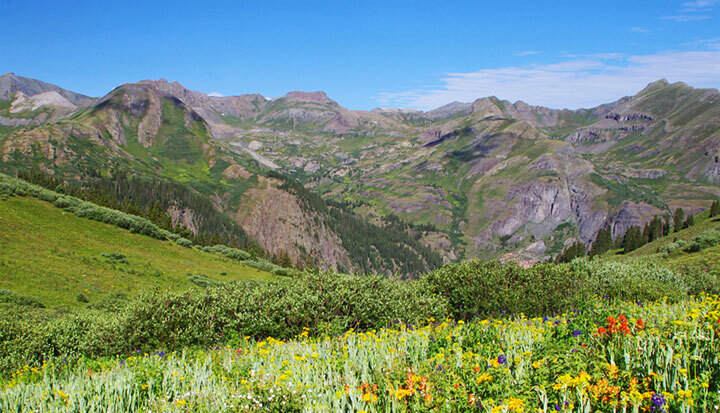 It is interesting to know that the Weminuche wilderness is one of the biggest in Colorado. The majority of the hikers will overnight camp in the Chicago Basin, before proceeding to Wisdom and sunlight peaks, Eolus and Durango & Silverton Narrow Gauge Railroad. It is quite interesting that you can backpack from the train on your way to Silverton. However, there’s a catch. You will need to book a ticket at the Durango Train ticket office to get a sitting. It is also budget-friendly to book from Silverton. Alternatively, you can purchase a ticket from the conductor effortlessly anywhere along the track. To correctly flag the train, you should always be on the east side of the track. Wave your hands horizontally from the knees, and the train will stop for you. There are various trails that you can take, and you need not worry about missing out on the beautiful scenery. Each is as beautiful as the next and offers spectacular views to make your hike satisfactory. There are numerous camping sites in this area, and that makes it most appropriate for multi-day hiking. You can easily plan your hike for up to a week. And whether you are out for solo backpacking Colorado or have several family members, this hike promises to be one of the best, and worth the experience. You may even enjoy the company of Mountain Goats along the way and around the camp. Read more about Weminuche wilderness here. The Nederland hike is one of the easiest, and therefore most appropriate for beginners. It is the type of hike that you can strap your sling backpack and trek for a day satisfactorily. 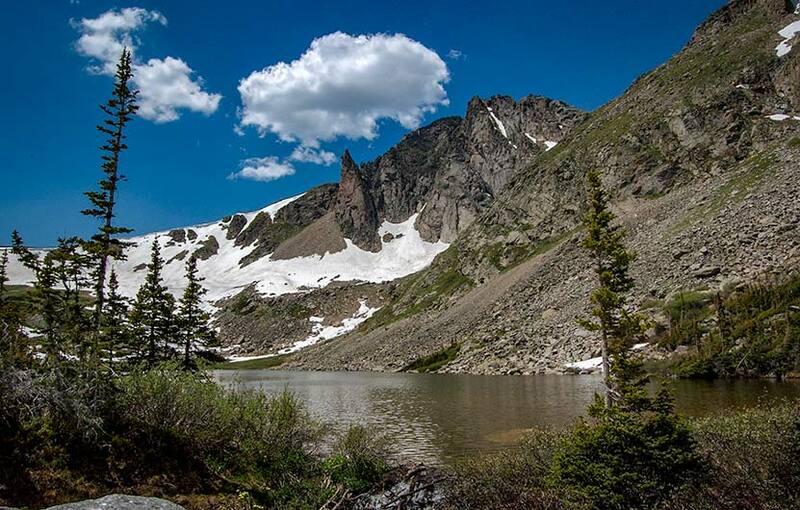 The Indian Peaks Wilderness is a sight to behold. It has various physical features that can rival any other trail that you have been to. Furthermore, the Devil’s Thumb trail promises to be a wonderful experience for any level of hiker. And just because it is beginner-friendly does not mean that it is boring. You can take a free shuttle to the trailhead. You can complete the whole route and clock 11 miles effortlessly. The first exciting site is 5 miles away from the trailhead, and it is the Devils Thumb Lake. You can choose to continue the loop up to Kings Lake and further. The 11-mile mark ends at the Devil’s Thumb Pass. The Lost Creek wilderness loop is not a bare Wasteland like some people may think. In contrast, it has various hiking pleasures in the form of alluring features, and other elaborate scenes that any multi-day hiker will love. Tarryall Reservoir and the rolling mountain forests make this trailer one of the best for any level of hiker. However, you need to prepare for multi-day hiking and physically. The hike that starts at Goose Creek Trail meanders through beautiful meadows and other vegetation that makes it all worth it. You can choose the Hankins Trail and go straight to a forest with healthy Pines and which transitions to aspen forest as you enter the Hankins Pass. From the Hankins Pass, head northwards, and take Lake Park Trail to the McCurdy Brookside Pass through the McCurdy Park Trail. From here, you can choose to go to Goose Creek or the Brookside McCurdy Trail for more spectacular views and experience. 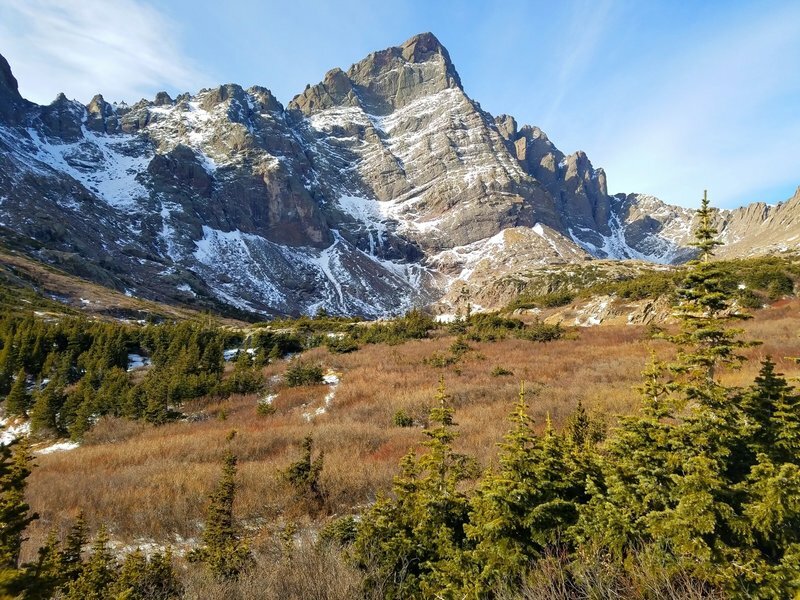 Apart from the Splendid rock formations, the Mosquito Range and Collegiate Peaks other beautiful sites that make you want to return the same trail on your next hike. The huge boulders and granite spires are some of the most common characteristics of the 34 mile Goose Creek drainage. If you feel like it, you can camp here and continue with the hike the following day. The trail has dispersed camping all through the Goose Creek drainage. The 3100-mile trail is not for the faint of heart. It passes through some of the tallest Peaks in Colorado, goes through five States, and moves from Mexico to Canada. If you can manage 17 miles per day, you can complete the continental divide Trail within six months. Central Colorado has up to 740 miles of the continental divide trail. Therefore, you have more than enough within the state and can extend the limit if you are up to it. Among the Scenic beauties, you will come across include The Hancock ghost town and other historical ruins. The lowest point is in Montana at Watertown Lake while the highest is Grays Peak standing at 14,270 feet. You will also experience the best of Rocky Mountain National Park, marshy Meadows glaciers and Valleys. You will come across various waterfalls and camping sites where you can rest or camp depending on your energy levels. Colorado is not short of summits, and there are up to 1000 of them. The various geological features and the historical ruins make this one of the best trails that any backpacker will find satisfying. We will insist that this trailer is not for the faint Hearted or the beginners. You need to have a significant amount of experience before you can count yourself capable of tackling one of the longest and most scenic trails in Colorado. 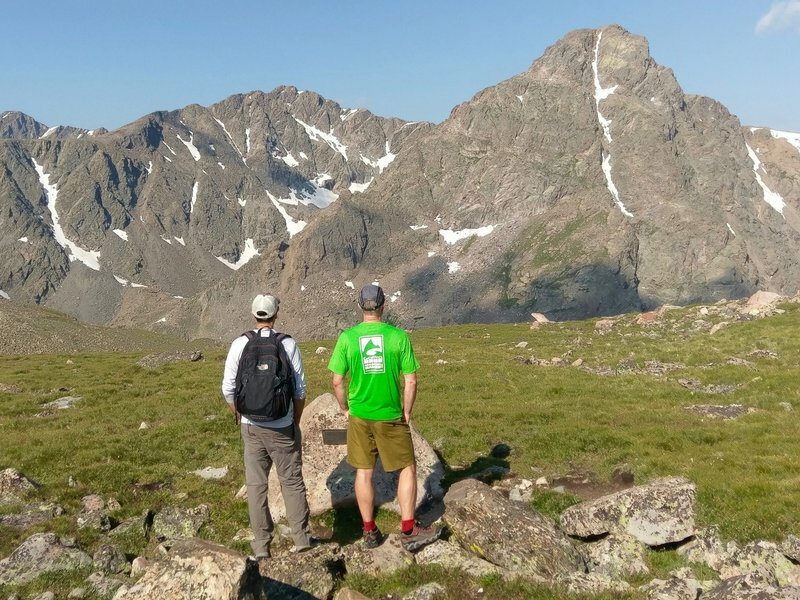 What makes it one of the best three-day backpacking trips Colorado is the exotic scenery that includes alpine lakes, beautiful Meadows, forests rugged peaks and wildflowers. The Maroon Bells and the Elk Mountains make this trail one of the most scenic, and satisfying. The four pass loop takes between three and four days to complete. Therefore, you should prepare yourself adequately and throw in such equipment as a solar backpack. That needs to keep their navigation equipment charged. Some people cannot stay away from their devices such as a tablet, and they can use them to keep entertained in the camp as the sun goes down. The backpacking trip is quite challenging, and you need to prepare yourself physically before you can undertake it. This trip is not for the beginners, you can always try if you believe in yourself, and you are physically fit. The Wet Creek crossings and wildflower displays are a welcome relief for the challenging hike. You will also enjoy the Aspen hillsides as you climb to an elevation of more than 7300 ft. On four different passes, you can rise more than 12000 ft easily, and enjoy the sights. One of the requirements is to bring a bear-proof can to keep your equipment and food, safe. You are going to need a free permit from the White River national park. Other applicable rules include a limit of groups to ten people, and no bicycles allowed. The 7.9 miles hiking Trail is one of the easiest and less stressful. It is appropriate for beginners and intermediate hikers. And despite its low-profile offerings, the blue lake trails still have a plethora of beautiful sites to sample. 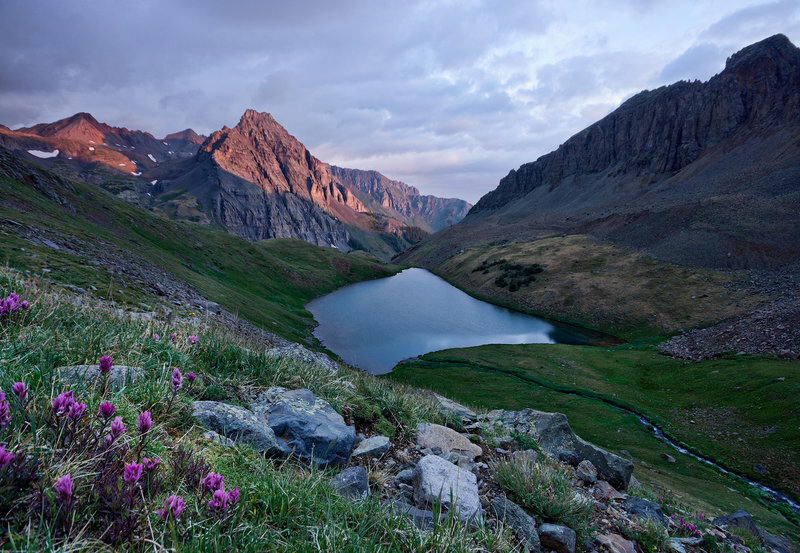 You’ll find the blue lakes trail at Telluride, and it leads to high alpine lakes, through the beautiful San Juan Wilderness. You can choose to make it multi-day hiking, and continue to the upper lake from the Middle Lake. It is about a quarter mile to the upper lake and half a mile to the middle lake. The train has gorgeous looking alpine views and wildflowers. The Notch mountain trail is about 10.9 miles long and has a host of fir and spruce trees that you can enjoy its shade whenever you need to take a breather. The trail crisscrosses the High Cross Wilderness on your way to the Notch Mountain Shelter. The shelter attracts hundreds of people on pilgrimage to see the Mountain of the Holy Cross. This is a great place where you can enjoy your evening together with your friends and share a bottle of beer. It is also a nice shelter for hikers in case of emergency storms when hiking. However, you cannot camp here. If you need somewhere to camp, go a few miles up the trail, and Settle on the most appropriate place. Remember that forest fires above the tree line are not allowed. Essentially, this is one of the few spring backpacking Colorado trails that your children may accompany you and enjoy the experience. The company that your family provides always enhances the experience of hiking. The alpine basin spot is one of the most popular, and so you should expect some considerable amount of company. Looking on the bright side, there are numerous campsites, fantastic-looking scenery, and Timberline. Camping permits are not necessary, but you must exercise respect towards other campers. Exercise leave-no-trace-behind habits and abide by the rules to make the whole experience better for you and others. The elevation is about 1600 feet, and the trail is 3.5 miles long. Head to Colfax Lane from Colorado 69, and turn right to a dirt road. Continue straight and go through a junction meant for two-wheel vehicles. The upper trailhead may be rough but manageable. And even though you don’t need a permit, it is against the rules to camp 300ft of the lakes. Car camping is available here, and that makes it appropriate for families. All the wilderness camping rules apply and make a point of abiding by them. Backpacking Colorado trails are numerous and come packed with a host of sceneries, and adventures for any level of hiker. There are tough, smooth, short and long trails, and the most ideal for you depends on fitness level and preference. Most of them are family friendly, dog-friendly and even accessible for the disabled. Most importantly, Colorado hiking trails are some of the most adventurous and satisfying for hikers and campers. The wildflowers Aspen trees and water bodies makes the connection with nature to be the most fulfilling for anyone. It is, therefore, no wonder that many people come from far to enjoy hiking at various trails the state offers. Backpack Droid is a participant in the Amazon Services LLC Associates Program, an affiliate advertising program designed to provide a means for sites to earn advertising fees by linking to Amazon. Our product recommendations are guided solely by our editors. We have no relationship with manufacturers. Enter your best email address below to get our monthly newsletter. New trip reports, gear reviews, inspiring stories and much more. Copyright © 2019 Backpack Droid. All rights reserved.